Did you ever wonder if you could become a scientist? Or is it something that seems too obscure, too selective for you? Maybe you just dislike maths and that’s the end of the matter, period. A career in science isn’t always top of the list for many students either, and not just because of mathematics: often, they simply have no idea what the job might involve. 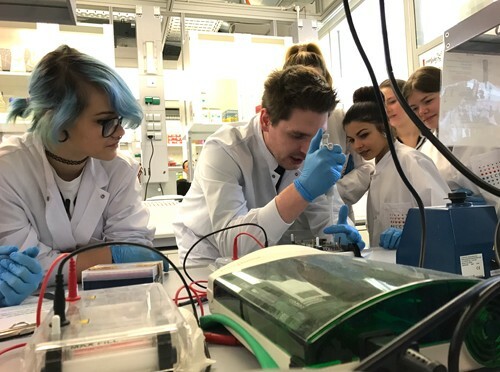 Fortunately, the first research lab for high school students, Scienteens Lab, is an extra-curricular learning centre at the University of Luxembourg. It offers “Stem” ( for Science, Technology, Engineering and Maths) workshops designed to spark students’ interest in all science things. 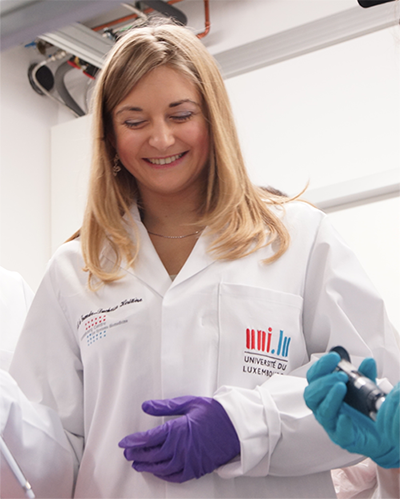 Founded by the university’s Luxembourg centre for Systems Biomedicine in 2013, and supported since 2016 by the Faculty of Science, Technology and Communication, it provides hands-on encounters supervised by experienced scientists and teachers from a variety of disciplines to give a better idea of what scientists are working on every day. Scienteens Lab is focused on supporting high school students from all horizons and genders, with many initiatives this past year to encourage girls to consider careers in science. The different scientists and teachers working at the lab all share the will to relay their passion to the generation following them.